Court Upholds Dungeness Instream Flow Rule that protects river and fish! In upholding the Rule, Judge Tabor held that the Rule was not unlawful and that Ecology did not exceed its authority when it adopted the Rule. He also reaffirmed that permit-exempt wells are subject to the “first-in-time” system of water appropriations used in Washington. 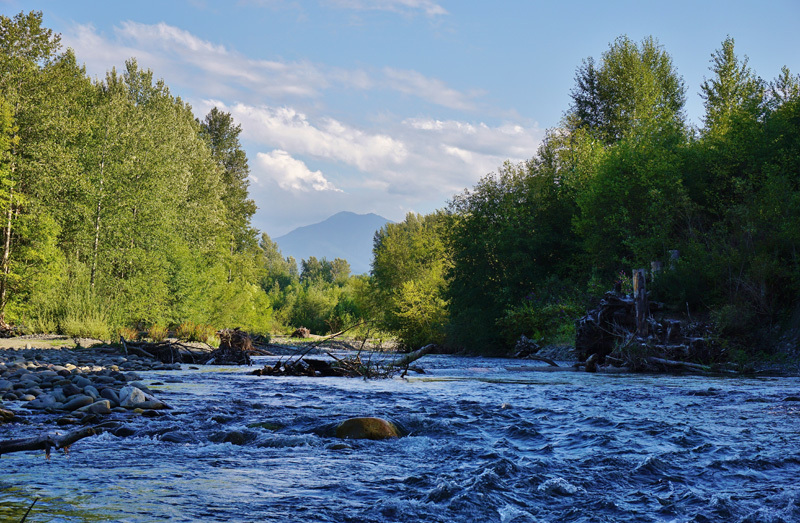 The Dungeness River is home to steelhead, bull trout, and four salmon species. Most of these fish are listed as “Threatened” under the Endangered Species Act. Low river flows, particularly in summer and early fall, block upstream migration of spawning salmon and risk causing extinction of these fish. Historically, much of the River’s flow has been diverted for irrigation, although irrigators have agreed to limit withdrawals to no more than one-half of the river’s summer flow. Uncontrolled development using private (“permit-exempt”) wells further depleted streamflows and added to the pressure on fish populations. The Dungeness Rule protects instream flows that are needed to support salmon populations and other instream values, while allowing new residential development through mitigated use of water from permit-exempt wells. The Dungeness watershed is in the rain shadow of the Olympic Mountains and is unique in the Northwest as the only coastal watershed that is dry enough to require irrigation for agricultural crops. The River is relatively short, flowing 32 miles from the Olympic Mountains to the Strait. It is used by chinook, coho, chum, and pink salmon as well as steelhead, cutthroat, and bull trout. All salmon stocks are depressed relative to historic levels, and chinook, chum salmon and bull trout are listed as Threatened under the ESA. Insufficient stream flow has been identified as a key cause of reduced fish levels. The Dungeness Rule was developed over a 20-year period through a collaborative process that included state, local, and Tribal governments, property owners, environmental groups, and water users. “This rule is an example of how rules can be set to make sure water resources in the rivers and streams are protected,” said Trish Rolfe, CELP’s Executive Director. Judge Tabor ruled from the bench and a written decision is expected in the coming weeks. The case is Bassett et al. v. Ecology, Thurston County case No. 14-2-02466-2. 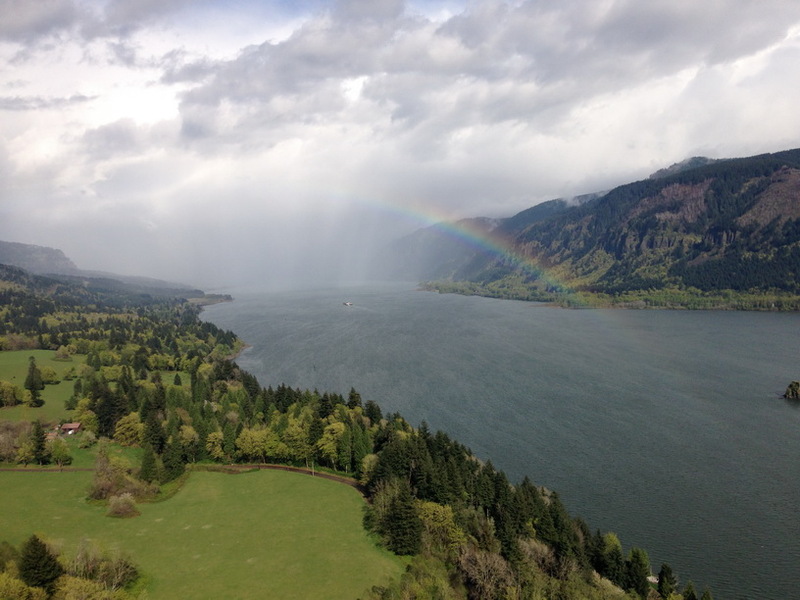 June Edition of Washington Water Watch is Out! 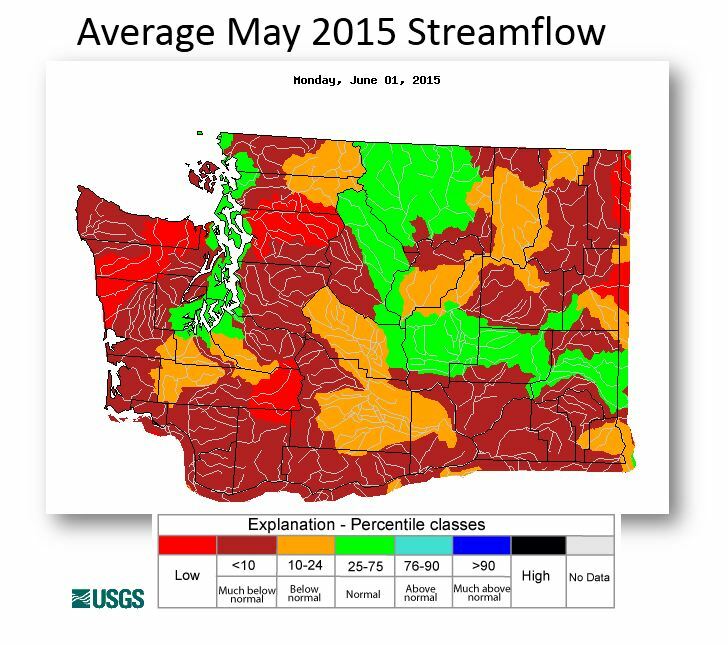 Our June edition of Washington Water Watch is now available. Check it out here! This month, we profile our new board member, Brady Johnson, discuss our intervention into a law suit filed that challenges the Dungeness Instream Flow Rule, update our work on the Columbia River Treaty negotiations, highlight a petition to restore Moxlie Creek and more.